1 image. Letter copy, 5 October 1961. 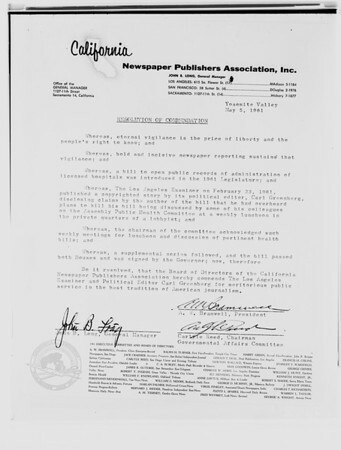 California Newspaper Publishers Association Resolution of Commendation to the Examiner.